Lumpur native has published 25 short stories both locally and internationally.His latest release is an anthology of 14 of his stories. 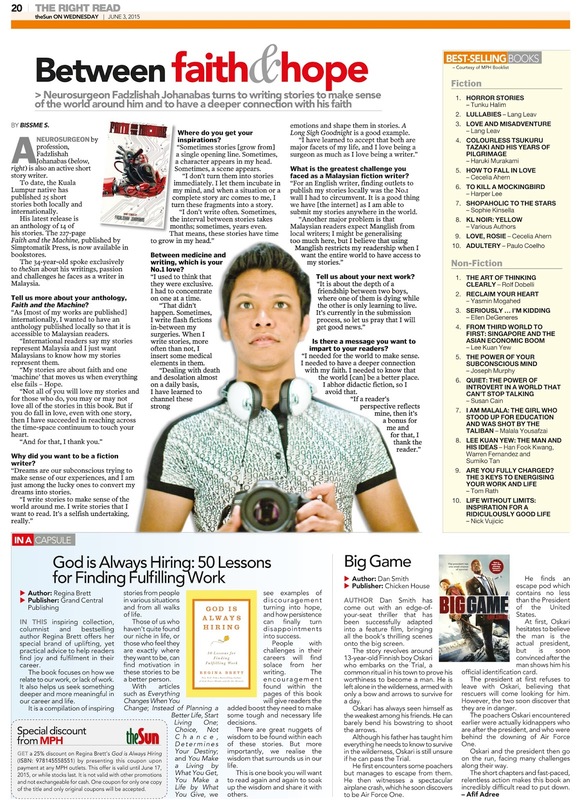 The 227-page Faith and the Machine, published by Simptomatik Press, is now available in bookstores.The 34-year-old spoke exclusively to theSun about his writings, passion and challenges he faces as a writer in Malaysia. *Tell us more about your anthology, Faith and the Machine? 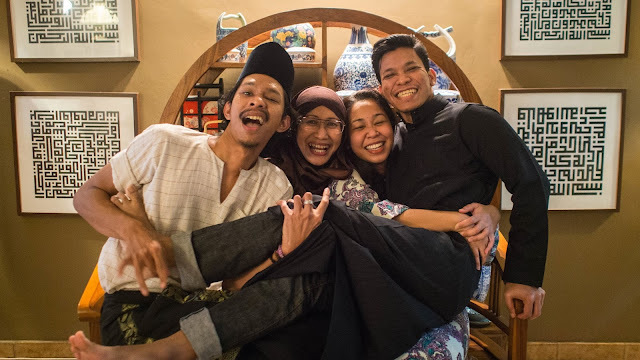 “As [most of my works are published] internationally, I wanted to have an anthology published locally so that it is accessible to Malaysian readers. International readers say my stories represent Malaysia and I just want Malaysians to know how my stories represent them. *Why did you want to be a fiction writer? * Where do you get your inspirations? *Between medicine and writing, which is your No.1 love? *What is the greatest challenge you faced as a Malaysian fiction writer? 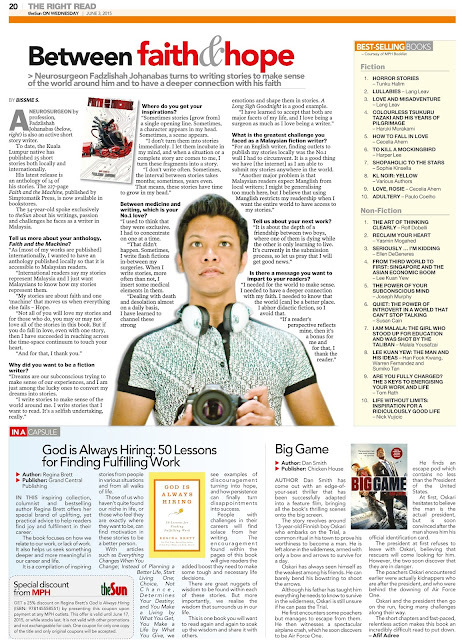 “For an English writer, finding outlets to publish my stories locally was the No.1 wall I had to circumvent. It is a good thing we have [the internet] as I am able to submit my stories anywhere in the world. *Tell us about your next work? * Is there a message you want to impart to your readers?